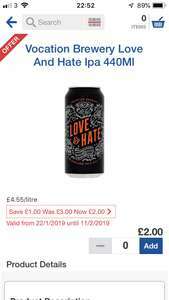 Tesco have some cracking deals on their craft beer at the moment, with the stand out being a 440ml can of Vocations Love & Hate NEPA for £2 (normally £3 and well worth the price). In store and online. In my opinion this is one of the best beers you can buy in a supermarket and is up there with £5-6 beers. 7.2% abv so not for the faint hearted. If stout is your thing then Breakfast Club is also reduced from £3 to £2. Traditionalists love beer that’s crystal clear, with restrained hops, and a delicate flavour. They’re going to hate this... Love & Hate is our juicily crushable, unapologetically murky, New-England pale ale. An authentic Vermont yeast strain and a big dose of oats work together with our triple dry-hopping process to create beautiful aromas and a silky mouthfeel. This beer is unpasteurised and naturally hazy. Vocation is a fiercely independent brewery, hell-bent on producing punchy and distinctive beers. We pursue perfection with dogged determination and never compromise our vision. This relentless persistence makes our beers bold, brave, and exhilarating. Maybe a decent price, but go support your local independent bottle shops. I do support a few of my local bottle shops. I also support a lot of my local micros. Doesn’t mean that I don’t enjoy decent supermarket beer at a good price. 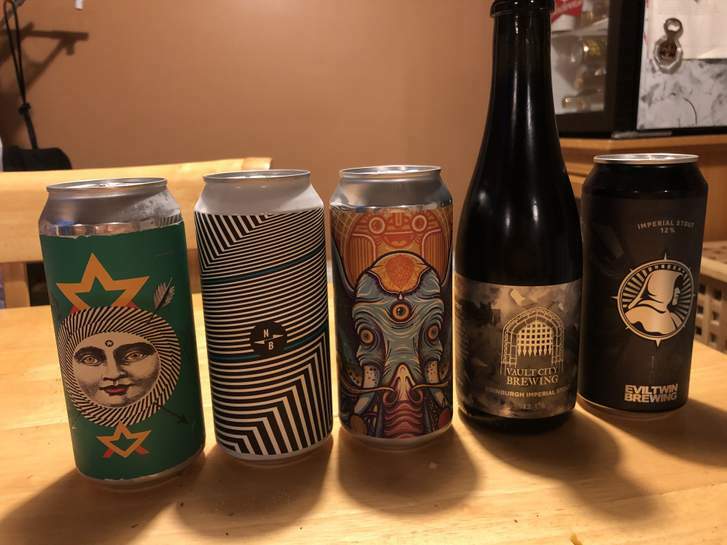 This site isn’t about sharing tips for overpriced beers though (those 5 cost me £30). It is about sharing bargains, and this deal is a proper bargain IMO. Life & death is decent, but Love & Hate is way better. Life and Death is one of my favourite beers at the moment. Will have to give this a go as well. It is in store and online, and Nationwide. If it is showing as unavailable for you, it only means the local store that does the delivery is out of stock. It is in store and online, and Nationwide. 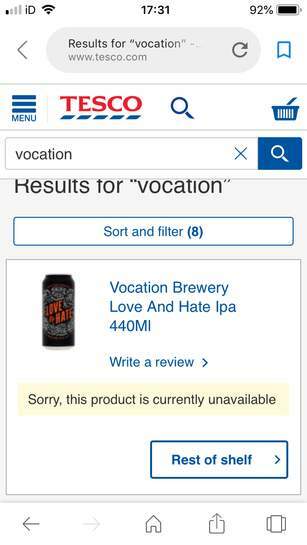 If it is showing as unavailable …It is in store and online, and Nationwide. If it is showing as unavailable for you, it only means the local store that does the delivery is out of stock. I do support a few of my local bottle shops. I also support a lot of my …I do support a few of my local bottle shops. I also support a lot of my local micros. 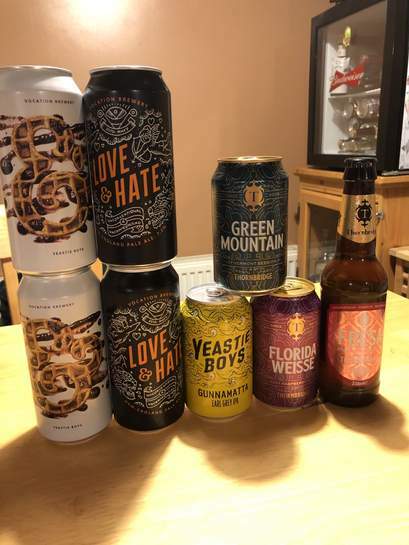 Doesn’t mean that I don’t enjoy decent supermarket beer at a good price.Below is last weeks haul from Beerhive in Edinburgh [Image] This site isn’t about sharing tips for overpriced beers though (those 5 cost me £30). It is about sharing bargains, and this deal is a proper bargain IMO. Yeah I know Pete at beer hive. What is the green and the elephant one? How much was your even more death? The green one is this. Wasn’t to my taste. Way too bitter. The elephant one is one of my favourite beers. Jungle IPA From Northern Monk’s Patron’s Project. From memory Even more death was £6 odds. A cracking impy stout. Will definitely pop in for Breakfast Club @ £2 a tin. Bargain! Tesco doing well improving their craft offering lately. There's a Thornbridge/Fourpure strawberry milkshake IPA in there which is rather nice too. Will definitely pop in for Breakfast Club @ £2 a tin. Bargain! Tesco doing …Will definitely pop in for Breakfast Club @ £2 a tin. Bargain! Tesco doing well improving their craft offering lately. There's a Thornbridge/Fourpure strawberry milkshake IPA in there which is rather nice too. I know. Picked up these the other day. How often do you have one? Must be hard they all look so good. I only drink at the weekend. When I buy a new beer I really want to try on a Monday, it can be a looooong week. Good selection, what's the green mountain like? I drank it last night. 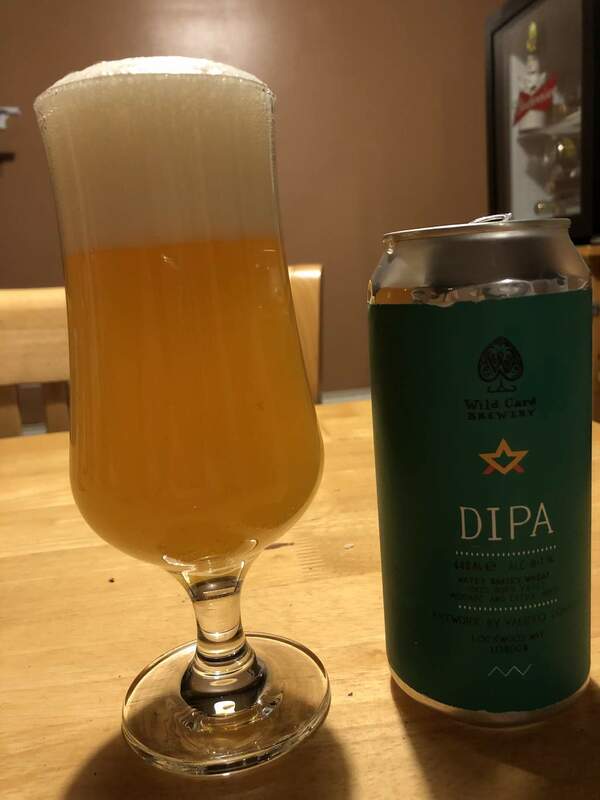 It is a nice smooth beer, fruity, but not too much bitter aftertaste. I intend to buy more today. Cheers, love this stuff. Remember to keep in the fridge and drink fresh! Best supermarket beer by a country mile and even more of a bargain at £2. The blueberry stout is very nice too.